Did you know that March is National Nutrition Month? If you have been letting your New Year Resolutions slide lately, now is the time to get back on track! Salads are a great source of vitamins and perfect to include in your daily meal plans. 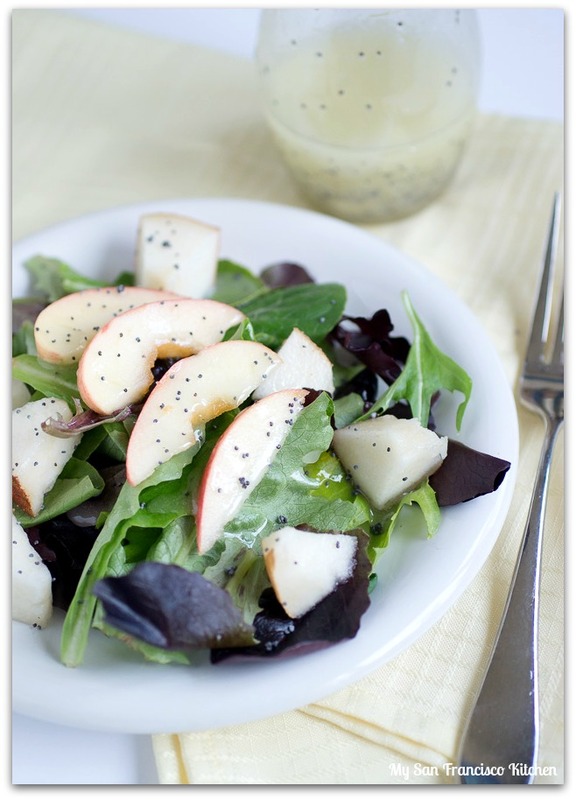 This Pear Apple Salad with Lemon Poppy Seed Dressing is one of my favorite “fruit salads.” I used Mazola® Corn Oil as a base for my dressing, and I found the taste to be very neutral – just what I am looking for in a salad dressing base. 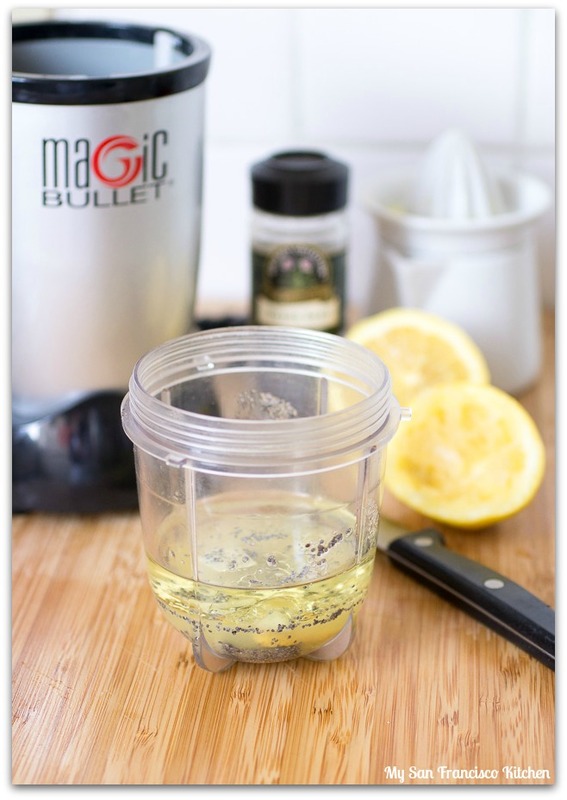 It allows the lemon flavor to come out beautifully. 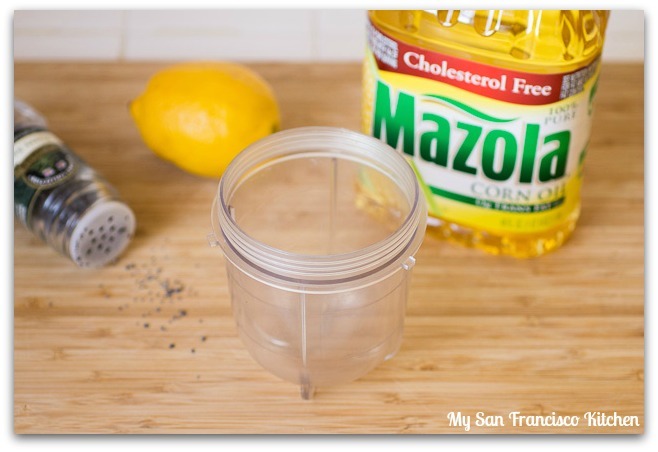 Did you know a recent research study found that corn oil helps lower cholesterol more than extra virgin olive oil? It has less saturated fats than other oils. For more information about the study, go to Mazola.com. You can also include nuts, like walnuts or pecans, in your salad for some extra calories and protein if you are making it your main meal. Add all dressing ingredients to a blender and pulse a few times until mixed well. Rinse and drain the lettuce, then toss with the fruit and dressing. Disclaimer: This post is sponsored by Mazola; all opinions are my own. This entry was posted in Lunch, Salads and tagged apple, pear, poppy seed, salad. Great recipe, so simple and fun. Thanks! I didn’t know March was Nutrition Month. When I grow up, I want the job of deciding which day gets to celebrate what food. 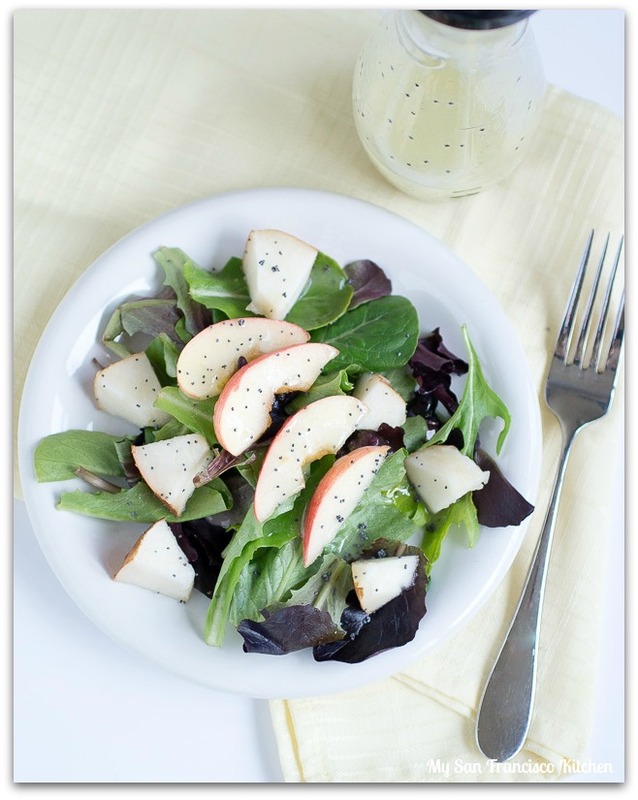 😉 Lovely salad — don’t often use pears in salads for some reason, but they work so well. Thanks. Ooh, this sounds so fresh and lovely and light – perfect for National Nutrition Month! This would actually be great topped with a couple seared scallops for a heartier meal, too. Mmmmm.